Just like it sounds, the basic principle of a home exchange is that you temporarily exchange dwellings with somebody else. The terms of the exchange are up to you, including how long the exchange is for, compensation (if any) for household expenses, and any requested chores like watering plants, picking up mail, use of vehicles, or even taking care of a pet. And contrary to what you might think, not all home exchanges need to be simultaneous or just two-way. With a plethora of sites connecting home exchangers, you have lots of options. Home exchanges offer lots of benefits for your next vacation. With a home exchange you get to enjoy all the comforts of home — somebody else's home, that is! During most vacations, some big dollars (and often some extra weight!) accrue when you eat out. By staying “at home,” you can save money by cooking healthy meals and packing picnics for days out. Depending on the terms of the exchange, some home exchange sites (more on this below) actually allow you to “rent” out your place for extra income while you're away. This can further subsidize your own vacation! Home exchanges are great for families, since paying for accommodations for an entire family can be pricey and awkward. But don't assume that you need a big house (or big family) to participate in a home exchange; there's a market for everything from bachelor pads to resort-style mansions. Some home exchanges include the use of a vehicle — thus saving you further on the cost of transportation while you're on vacation. When staying in a local's home, you get a much better feel for what daily life is like in the place you are visiting. With a simultaneous home exchange, you have the peace of mind in knowing your home is being cared for in your absence. There are always two sides to the story. Here are some potential drawbacks to a home exchange. Having a relative stranger (who you likely only conversed with online or over the phone) stay in your home while you're away requires a leap of faith and trust. Then again, it works two ways since you're staying in somebody else's home, so the trust is mutual. Many homes aren't nearly as central to the action as hotels are. So while you have the benefit of living the “local life,” it also means you might need to spend a little more time (and money) to get out and see the sights. Here are some tips to ensure your home exchange experience is as good as it can be — for everybody. To alleviate your home security concerns, make sure you communicate extensively with your potential home exchangers. The better you know each other, the more trust you'll have in the reciprocal process. Be clear about all the terms of the home exchange in advance. Determine who pays for which household expenses, what is off-limits, and any household upkeep expectations. You wouldn't like it if you left a clean home for your home exchangers only to return to a rearranged and trashed place, would you? Of course not. So make sure you extend the same courtesy where you are staying. If you finish off cleaning supplies or kitchen staples, be sure to replace them. (And it goes without saying that if you break something, try to replace that too). Put away anything you don't want touched in your absence. Since everybody here is on vacation, help your home exchangers make the most of it! Leave a welcome kit with information on local places to go, things to do, and tips for getting around. Don't take basic household functions for granted; in other places in the world even simple tasks like appliance use and recycling/garbage procedures can be dramatically different (and additionally complicated if there is a language barrier as well). Leave a tips sheet for your home exchangers with everything they need to know about general household maintenance, routine procedures (like mail and garbage collection), and any little quirks of your place (or preferences). Sometimes things go wrong. Arm your home exchangers with everything they need to know in case of an emergency, such as the numbers of local repair-people and instructions for dealing with any foreseeable problems that might arise. For everybody's peace of mind, connect your home exchangers with a local friend or neighbor who can be on-call for questions or emergencies. In an ideal world a friendship will blossom, enhancing their vacation experience (and your peace of mind). If you are giving use of a vehicle to your home exchangers, make sure your insurance policy allows for occasional drivers, and if need be, contact them with your home exchangers' driving license information. Here is an alphabetical list of sites that offer various types of home exchange services. Most (if not all) of them offer a secure way to converse with home exchange candidates and can connect you with all manner of accommodation options. Many allow you to browse their listings for free, so click around to find the one(s) that feel right for you and your needs. Casa Swap is unique site geared towards students (although anybody can use it) to rent, sublet, and swap places. You can also find a roommate, place to stay, or exchange rooms. Free to join. Global Home Exchange is a multi-home exchange club which includes listings on other partner home exchange clubs and networks. Located in France, UK, Denmark, Germany, Canada, USA, Australia, and New Zealand. Membership ranges from $20-$150 depending on the options you choose. The Green-Theme International Home Exchange is for eco-friendly homes, including hospitality (hosting) exchanges and some house-sitting options. Located in England, Canada, Australia, New Zealand, France, Spain, and Italy. Membership from $35/year. Home Base Holidays is great for home exchanges, hospitality exchanges, house-sitting, B&B listings, and more. Membership is ₤29 for 1 year, ₤39 for 2 years. Home Exchange offers overage in over 150 countries. Membership from $120/year. Home Link offers coverage in 78 countries. If you can't find an exchange in the first year as a member, your second year is free. Membership is $115/year, $190 for 2 years. The International Home Exchange Network is for home exchanges and vacation rentals. Membership is $40/year. International Vacation Home Exchange offers coverage in over 50 countries. Specializing in non-simultaneous home exchanges by using vacation properties. Membership from $160/year, with an intricate credit and trade system giving you access to vacation rentals. InterVac offers coverage in most countries. Membership is $99/year. Invented City offers coverage in over 40 countries. Membership is $100/year. Jewett Street offers boutique coverage of both home and hospitality exchanges. Membership is $40/year. Knok has coverage in over 150 countries. Membership is $149/year. Seniors Home Exchange is exclusively for home exchangers over the age of 50. Membership is $79 for 3 years, or $100 for lifetime membership. I have heard of this idea but never really tried it. I think it would be a lot of fun to "couch surf"! I think this seems alike a really awesome idea! I can see why people would be skeptical about opening their home to another person or family but talking with them extensively and possibly getting references would surely ease that concern. One of my favorite movies is actually The Holiday, where Kate Winslet and Cameron Diaz go on vacations while staying in each others home. I think it'd be so awesome to be in the comfort of an actual "home" with you family while knowing you saving a ton of money on accommodations you wouldn't even need. And the welcome package is a cool idea too. We're doing a home exchange right now, or as Craigslist calls it, house swapping. I started looking for a place in multiple cities on Craigslist around April for a July or August swap. Definitely putting several feelers out there was key, and posting your own place, too. I had about five responses, all but two of which just sort of fizzled out. We eventually got with some great people in Ithaca, NY and the experience couldn't have worked out more perfectly for our first time! Lovely home, great location and the home's owners left us all kinds of local insider info which meant we got a great head start figuring out the best parts of the city and surrounding countryside to explore! I love that the word about home exchange is getting out there! We are on our 6th ever exchange at the moment, a beautiful riverside place with hot tub in Oregon. We are on a huge home exchanging adventure where we will be doing back to back exchanges all round the world for the next 9 months. Phew- its a lot of logistics but so worth it, we've had some wonderful experiences already that we just wouldn't have had if we had stayed home or in hotels. It's amazing how quickly you feel like you are at home even when the life you have stepped into is million miles from the one you left behind. Loved the post! A good article Nora, you certainly explain the concept well. 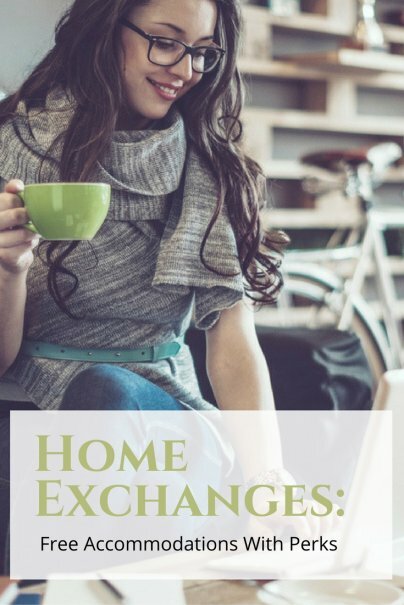 Home Exchange is a great way to vacation and more and more of us are doing it, from all different walks of life and age groups. There are three types of Home Exchange, the normal swap at the same time, a Non-simultaneous Exchange when you swap on different dates and Hospitality Exchange which is when you stay with your swap partner and then they reciprocate later. Communication is vital between both parties and we always advise our members at Home Exchange50plus to get to know their potential swap partner prior to the actual exchange by exchanging lots of emails and telephone calls. Swapping Homes is based on trust, trust in the details of the property being correct and trust in the individuals involved. As a holiday concept it has been around since the 1950s so it can't be all that bad a way to vacation. If, like me you have a second (holiday) home, then try http://www.exchangeholidayhomes.com . They only have holiday homes and there’s no charge to join. You get credits if you give up a week and you can use them against any place that agrees to the date you want.